Vikram Hospital, a relatively new entrant in the healthcare provider market, drastically needed to increase its presence in the digital space, as well as increase overall visibility, something which previous campaigns had failed to achieve. A formidable online presence would in turn help Vikram Hospital penetrate an ultra-competitive landscape and improve its reach. The entire design of the campaign, including websites, was refocused with the goal of being more creative and appealing, as well as being more layman-friendly through a cutting-edge CMS design, so as to reach a significantly larger viewership and make it more accessible to a wider audience. Within weeks, Vikram Hospital witnessed a sizeable increase in their digital space through a marked improvement in both website visits and social media shares and followers. 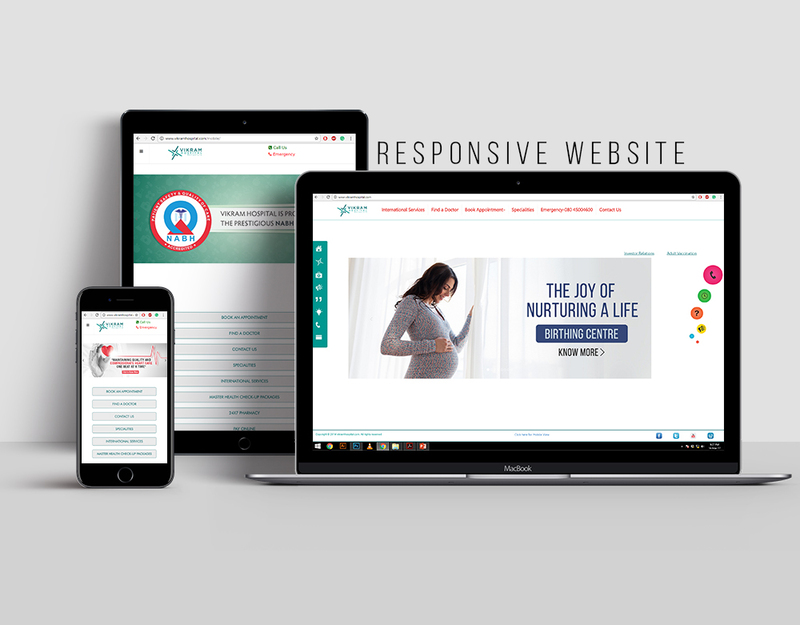 Our strategic digital solutions, mainly a more responsive website, enabled Vikram Hospital to improve its visibility.